Meaningful Mama shares a beautiful craft that also describes love based on the Bible. 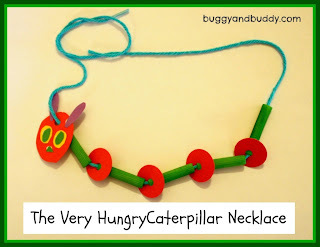 Buggy and Buddy shows us how to make this adorable Very Hungry Caterpillar Necklace. 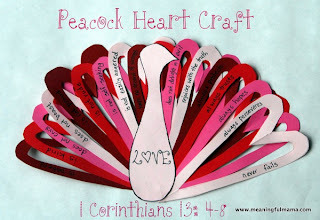 Like Mama ~ Like Daughter has a lovely Winter Birds Craft using fingerprints.